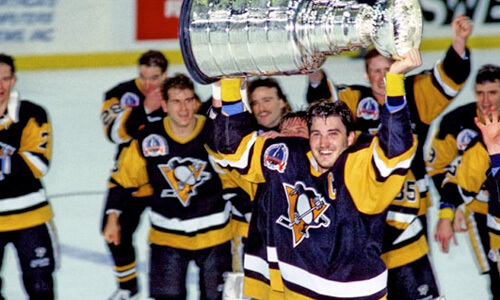 The 1991 Stanley Cup Playoffs for the National Hockey League (NHL) championship began on April 3, 1991 following the 1990 – 1991 regular season. The sixteen teams that qualified, from the top four teams of the four divisions, played best-of-seven series with re-seeding after the division finals. The Conference Champions played a best-of-seven series for the Stanley Cup.